John Carmack sent shockwaves through the gaming community last November when he abruptly decided to part ways with the company he helped create to take a full-time position with Oculus VR. None of the parties involved ever gave a reason for his departure but now the gaming legend is speaking out on the matter. In a recent interview with USA Today, Carmack said he ultimately left id Software because ZeniMax, the parent company of id Software, didn’t share his vision and passion for 3D gaming. Specifically, he said they weren’t interested in devoting the resources necessary to make Doom 4 and Wolfenstein: The New Order compatible with virtual reality – or more accurately, the Oculus Rift. 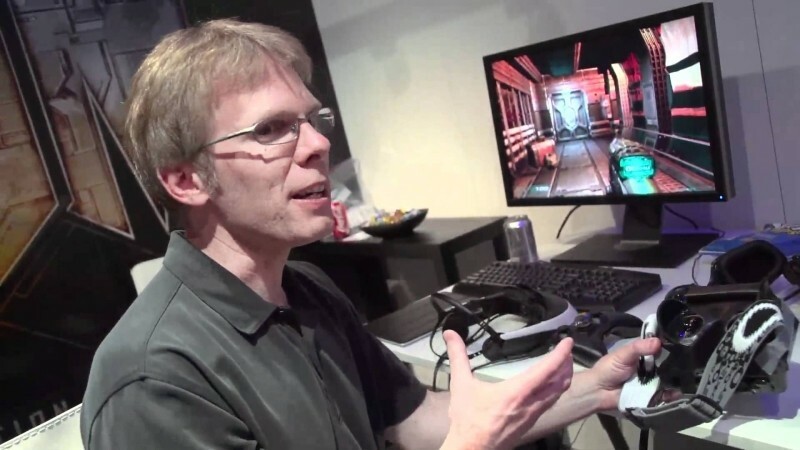 Without a deal, Carmack decided not to renew his contract and ultimately left id Software to work full time with the Oculus Rift team. Despite the fact that the Oculus Rift has received a ton of attention from technology journalists and gaming fans alike, the truth of the matter is that it is still an unproven technology that has a long way to go and a lot of hurdles to overcome before it arrives as a consumer product. As such, one could easily understand why ZeniMax would be unwilling to take such risks and invest extra money into titles that are likely already expensive to begin with. Meanwhile, Carmack is said to be working on a number of different projects at Oculus VR which could include building games or tech demos and creating an Android version of the software.